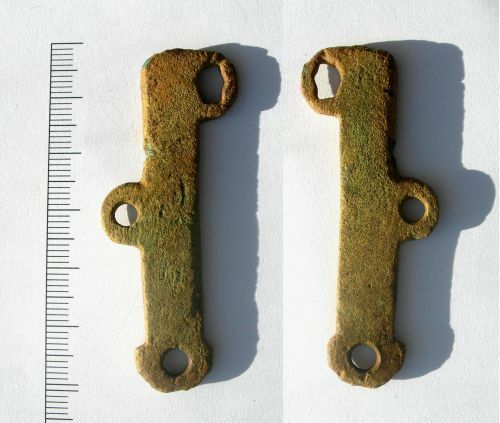 Roman copper alloy steelyard. The object consists of a plain bar with one hole in the centre of a rounded terminal, and another rectangular hole in a semi-circular projection underneath the opposite end. A third suspension hole pierces a central semi-circular projection on the upper surface. It is in fair condition, is 56mm long, 24mm wide, 4mm thick and weighs 11.86g.